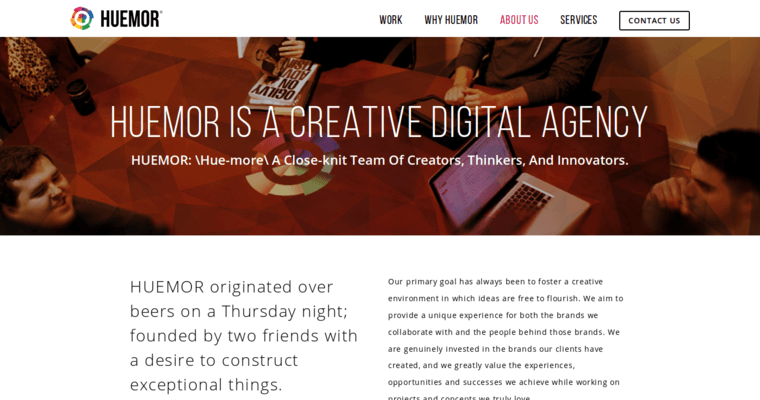 Huemor Designs has some of the best minds in digital marketing working for them, and they are considered to be the best digital agency available within the entire industry. Over the years, they have worked hard to always guarantee and provide quality service, and based on the reviews they have received form their past clients, they have easily succeeded. A few of the technology skills that their staff have are eCommerce, CRM integrations, technical directions, content management systems, full-stack web development, and API integrations. They also have a number of design services that their clients can choose from, and some of those services are creative direction, website design, brand guidelines, UI/UX design, responsive design, and style guides. Some of the areas and ways that they are able to help with the growth of their clients are heat mapping, conversion optimization, user surveying, A/B testing, and various test groups.